Center City Fit kicks off April 15th. By Laura Brzyski·	 4/11/2019, 8:00 a.m.
After months of being stuck indoors, the entire city seems eager to end the winter hibernation and get outside. With the warmer weather, Philadelphians are back to dining al fresco, photographing every single cherry blossom tree for the ‘gram, gearing up for beer gardens, and reading books on front-porch swings. But springtime also gives a literal breath of fresh air to our fitness routines. Exercising outdoors, also known as green exercise, has been shown to boost self-esteem, work different muscle groups, increase our Vitamin-D levels, and even get us exercising more frequently. That’s right: Running on actual terrain or practicing yoga near water can work wonders on our overall well-being. This Monday, you have another excuse to enjoy the outdoors while also keeping your mind and body happy: Center City Fit. 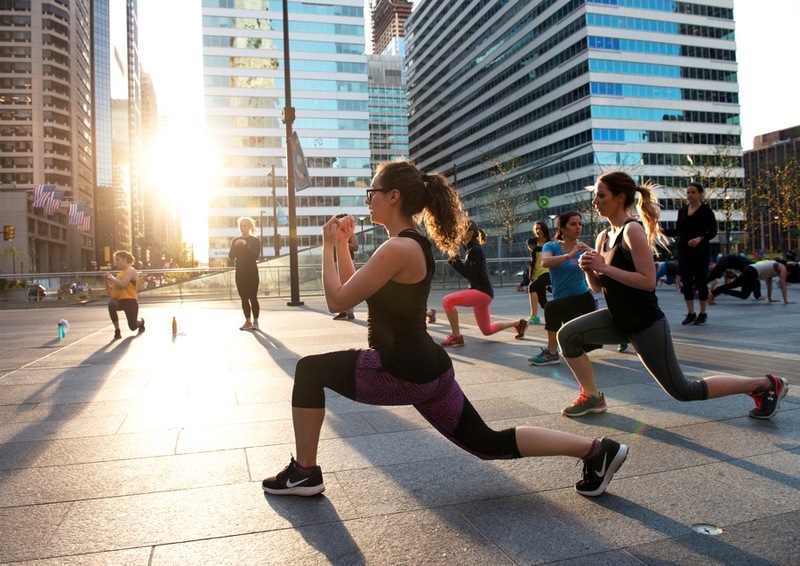 Presented by Rothman Orthopaedic Institute in conjunction with Center City District, the ever-popular spring series features a lineup of free, pop-up fitness classes at Dilworth Park — so you can sweat, dance, and stretch right in the heart of the city. Center City Fit kicks off April 15th and runs through October 15th. Workouts will be held at 6 p.m. on Monday and Tuesday nights. The pop-up classes, which include Zumba, bootcamp-style sessions, and cardio kickboxing, will be led by fitness trainers from Optimal Sport Health Clubs. Occasionally, experts from Rothman Orthopaedic Institute will drop in to offer tips on stretching and injury prevention, so you can stay safe and in shape the entire season. Mondays at 6 p.m. (April 15th through October 15th): Zumba with Dwayne Townsend, former Philadelphia Eagles Cheerleaders choreographer. Expect a calorie-blasting dance party set to Latin and pop music. 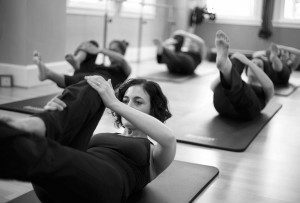 Tuesdays at 6 p.m. (April 16th through July 23rd): Bootcamp with Guy Nanni. Through bodyweight exercises and high-intensity interval training, you’ll come away sweaty but ready to accomplish anything. Tuesdays at 6 p.m. (July 30th through October 15th): Cardio kickboxing with Guy Nanni. This high-energy workout will help you build stamina and kick booty. As an added bonus, Center City Fit will run a special event on Saturday, June 1st. From 2 to 4 p.m., join a team of seasoned Zumba instructors for Zumba Dance for Peace, which we can only imagine has to be a more granola version of the high-octane dance form. So, Philly: lace up your sneaks and run, don’t walk (or walk, but maybe with some pep in your step) to Dilworth Park on Monday night. No need to register for any of these workouts — just show up ready to sweat.